Customers are invited to return all drycleaning plastic to our stores for recycling. We send our plastic to the Trex Company, who recycles it into composite decking materials. Pretty neat, huh? In our laundromats, our washers require less water and detergent to lessen our impact on the environment. All of our laundromats also have LED lighting to create a bright and inviting place to do laundry, while decreasing utilities. 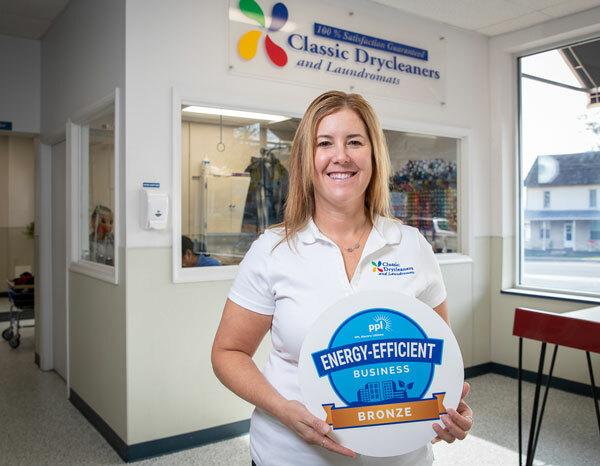 In 2017, after completing an extensive renovation project that drastically reduced our utilities usage, we are named the Small Business Project of the Year by the USGBC Central Pennsylvania. We were also named an Energy Project Partner by UGI.